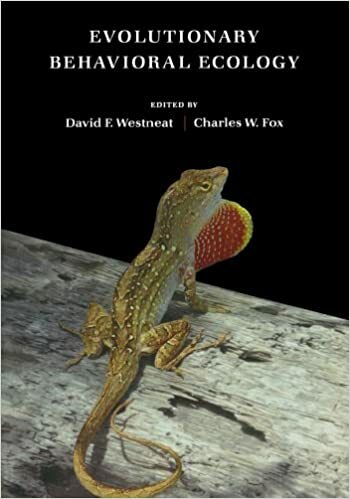 Evolutionary Behavioral Ecology is intended to be used as a text for graduate students and a sourcebook for professional scientists seeking an understanding of the evolutionary and ecological processes shaping behavior across a wide array of organisms and a diverse set of behaviors. Chapters are written by leading experts in the field, providing a core foundation, a history of conceptual developments, and fresh insight into the controversies and themes shaping the continuing development of the field. Essays on adaptation, selection, fitness, genetics, plasticity, and phylogeny as they pertain to behavior place the field in the broader context of ecology and evolution. These concepts, along with a diversity of theoretical approaches are applied to the evolution of behavior in a many contexts, from individual decision-making of solitary animals through to complex social interactions. Chapters integrate conceptual and theoretical approaches with recent empirical advances to understand the evolution of behavior, from foraging, dealing with risk, predator avoidance, and an array of social behaviors, including fighting and cooperation with conspecifics and conflict and cooperation between the sexes. The material emphasizes integrative and novel approaches to behavior, including cognitive ecology, personality, conservation biology, the links between behavior and evolution, the evolution of human social behavior, and ways in which modern genetic analyses can augment the study of behavior.